Horses and Lilly and hats…oh my! 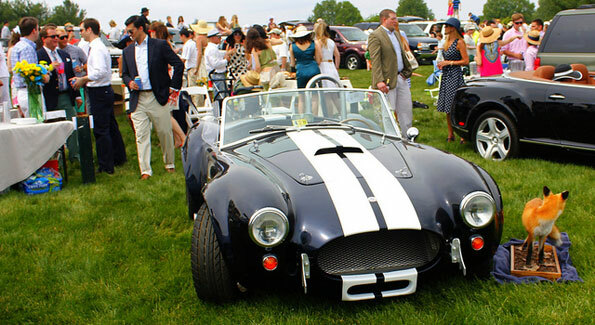 This year’s 87th running of The Virginia Gold Cup races boasted a record 55,000 attendees who came together to create a spirited spring scene bursting at the seams with color and fanfare. It seemed like on May 5 the lion’s share of D.C.’s social elites were suddenly transplanted by bus, limo or car to a big, beautiful field in the heart of Virginia’s horse country. Virginia’s answer to the Kentucky Derby and a fixture on every local socialite’s calendar, Gold Cup is usually seen as a chance to make one’s warm weather fashion debut. In addition to the usual seersucker, sundresses, and star-spangled pants (yes, there has been at least one pair of these every year for the past several years), many attendees at this year’s race also sported sombreros as the race coincided with Cinco de Mayo. Fake mustaches and a maraca were spotted in the crowd, and Capital Club’s tent along the North Rail even featured a margarita blender. While many spectators were too caught up in a mind-bending swirl of tailgating and mint julep consumption to notice, Gold Cup is the nation’s biggest and richest steeplechase race featuring six hurdle and timber horse races, with more than $200,000 in purses awarded. It was a big day for jockey Jeff Murphy, who piloted two different horses to wins in the two first races of the day, the $20,000 Audi Cup’s Sport of Kings Maiden Hurdle atop Betsy Mead’s Forgotten Man, and the $25,000 Infinitive Steeplethon, aboard Indian Run Farm’s Swimming River. It was also a big day for horse owners Mr. and Mrs. William L. Pape. Their racehorse Fog Island with rider Darren Nagle took the $35,000 M.C. Dean Chase, while their Total Command took the last race of the day, the $20,000 United Airlines Cup with jockey Brian Crowley steering. But it was the featured race, the $75,000 Virginia Cup Cup, that held all the day’s excitement. Owner Robert A. Kinsley’s dark-horse pick Incomplete, ridden by jockey Joey Elliott, cleared 23 fences and edged out favorite Bubble Economy in the homestretch, winning the challenge cup in just over eight minutes. Some of the fiercest competition, however, was up on Member’s Hill, as competitors jostled one another to win the Tailgate Competition and Hat Contest, with such categorie as Most Outrageous, Most Sporting and Most Glamorous. Washington Life, the longtime magazine sponsor of Spring and Fall Gold Cups, set up social shop on Member’s Hill – complete with bartender and antique cars – inviting 100 VIP friends of the magazine, in a railside tailgate hosted by Brook Rose Development’s Charles Paret, Luke’s Wings’ Fletcher Gill, and others. Major sponsors Washington Fine Properties, M.C. 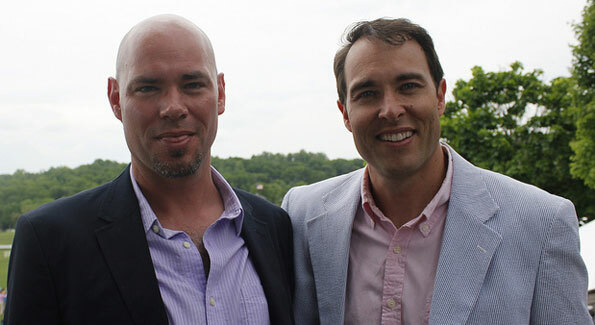 Dean, United Airlines, Audi, Infinitive also set up catered tents for friends and clients on Member’s Hill. 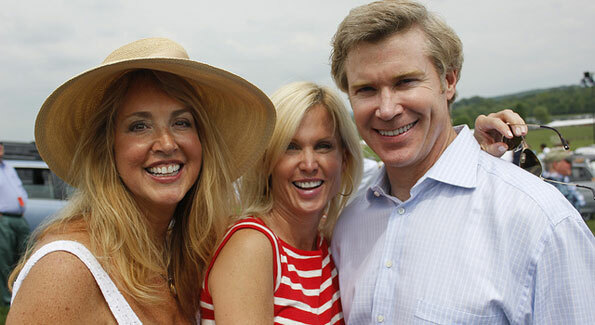 The day’s ticket sales and sponsorships benefited the Great Meadow Foundation, a 501(c)(3) founded by the late Arthur W. “Nick” Arundel which is dedicated to the preservation of Great Meadow Field Events Center. 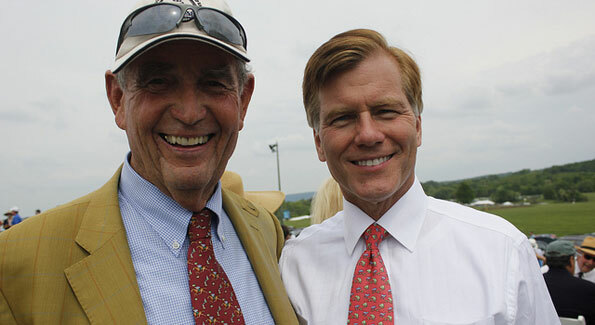 Also honored this year were legendary sportsmen Henry F. Stern, whose horse “Saluter” won the Gold Cup five times and retired the 1922 challenge trophy, and the late Charles “Chuck” Hoovler, who won Gold Cup’s Medal of Honor posthumously for decades of devotion to the Virginia Gold Cup Association. Guests found additional entertainment in the Jack Russell Terrier race and a hat judging contest. Over 30 vendor booths were also available for perusing. While some may have missed the horses, they certainly could not miss the perfect sunny and warm weather with a light breeze, creating ideal race – and hat wearing – conditions. 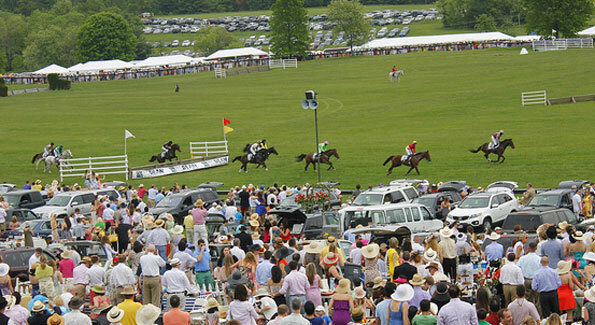 When D.C.’s vibrant social scene meets the wide open spaces of picturesque Virginia horse country, there really is no place like Gold Cup.